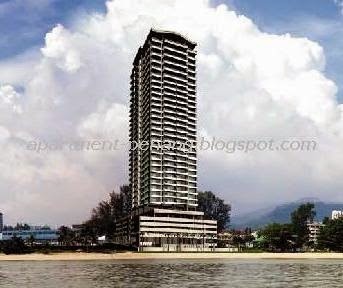 Skyhome Condominium, a 32-storey luxury condominium project located along Jalan Tanjung Bungah, Penang. SkyHome comprises 47 condominium units, each standard has a built-up area measuring 6,300 sq.ft. whilst the penthouse measures a spacious 12,300 sq ft.
Facilities at SkyHome Condominium include 24-hours security, swimming pool, jacuzzi/spa, gymnasium, 3 car park bay, visitors car park, BBQ-pit, children's playground, CCTV surveillance, broadband available, smart card access. Built-up Area : approx. 6,300 - 12,300 sq.ft. Developer : Giant Resorts (Tanjung) Sdn. Bhd. Is this really going to be completed in 2008? I don't think so. So far they have only reached the 16th floor. However once it has been built it is presumably going to be one of the most prestigious condominium properties on the island. between 2-3M. Are you looking for units there? Everyday pass there on the way to work and after. Looks like its almost ready. I have a Skyhome Unit for Sale 3.65mil tastefully renovation. 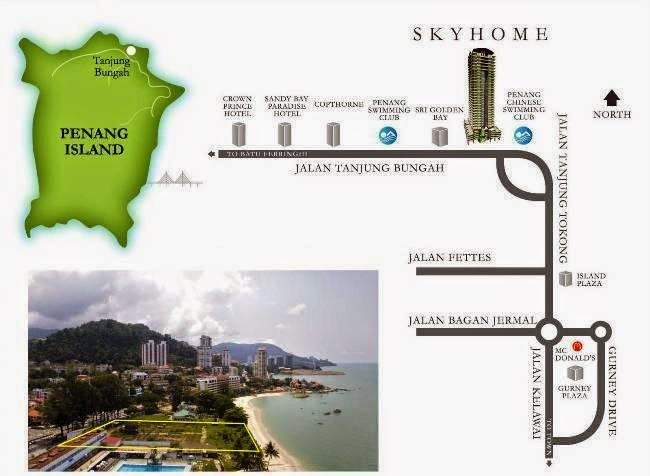 Hi Sellers and Buyers , kindly contact me if you have Skyhome list for sale or Interested to know more for purchasing. I am an Specialist for this developement and will assist at my best. If you have any units for sale, pls whatsapp me at +6012-2178 278. Have a buyer viewing on 22 & 23 Dec 2018. Will reply you with the buyer's profile.